Shortly after escaping a circus tragedy, young Italian orphan, Willow Antoniette, seeks refuge at The Manor of Diversions—a holiday resort in England born of a ghost story. For eleven years, she’s raised alongside the children of the resort’s owners: Julian, his twin brother, Nick, and their younger sister Emilia. Now that Willow is of marriable age, she's determined to escape finishing school along with everyone's efforts to make her a proper lady. The only man she wants to spend her life with is Julian, after all. Yet how can she tell him, when he thinks of her as nothing but a friend? As a machinist and engineer, Julian Thornton prefers a governable life. He can't allow his ever-deepening attraction for Willow to distract from his amusement park plans to lure a younger, wealthier clientele to their family's resort. In hopes to escape Willow and find investors, Julian sets off on a transatlantic ocean liner headed for the St. Louis World’s Fair, unaware Willow has secretly stowed away on the same ship. 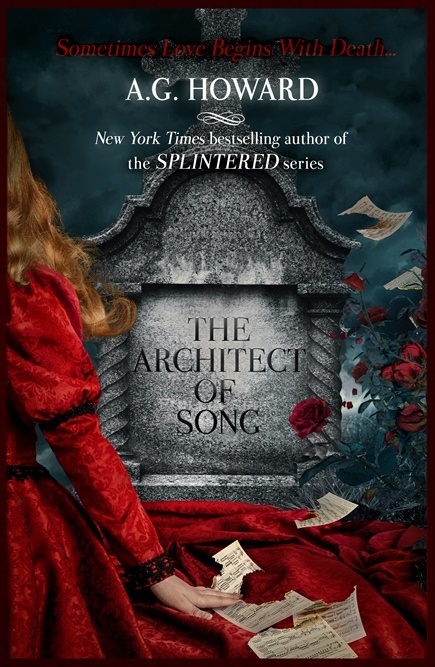 A lady imprisoned by deafness, an architect imprisoned by his past, and a ghost imprisoned within the petals of a flower - intertwine in this love story that transcends life and death. For most of her life, nineteen-year-old Juliet Emerline has subsisted – isolated by deafness – making hats in the solitude of her home. Now, she’s at risk to lose her sanctuary to Lord Nicolas Thornton, a twenty-seven-year-old mysterious and eccentric architect with designs on her humble estate. When she secretly witnesses him raging beside a grave, Juliet investigates, finding the name “Hawk” on the headstone and an unusual flower at the base. The moment Juliet touches the petals, a young English nobleman appears in ghostly form, singing a song only her deaf ears can hear. The ghost remembers nothing of his identity or death, other than the one name that haunts his afterlife: Thornton. To avenge her ghostly companion and save her estate, Juliet pushes aside her fear of society and travels to Lord Thornton’s secluded holiday resort, posing as a hat maker in one of his boutiques. 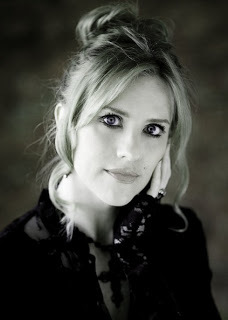 There, she finds herself questioning who to trust: the architect of flesh and bones who can relate to her through romantic gestures, heartfelt notes, and sensual touches … or the specter who serenades her with beautiful songs and ardent words, touching her mind and soul like no other man ever can. As sinister truths behind Lord Thornton’s interest in her estate and his tie to Hawk come to light, Juliet is lured into a web of secrets. But it’s too late for escape, and the tragic love taking seed in her heart will alter her silent world forever. 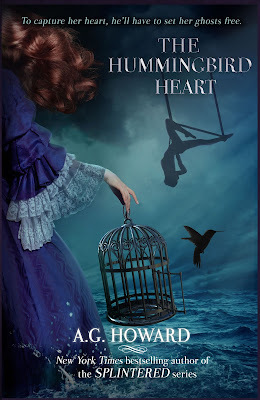 International and NYT bestselling author, A.G. Howard, brings her darkly magical and visual/visceral storytelling to Victorian England. 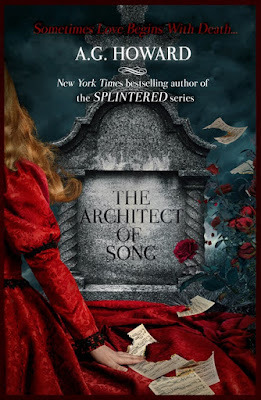 The Architect of Song is the first installment in her lush and romantic Haunted Hearts Legacy series, a four book gothic saga following the generations of one family as - haunted by both literal and figurative ghosts - they search for self-acceptance, love, and happiness. New Adult: Recommended for ages 17+. In the dream, Willow was a child again. With each barefooted step around the stacks of baggage in steerage, she found them taking on new shapes: pyramids of clowns, bears, horses and feathered performers, all balanced atop one another. She was back at the circus, albeit a much hazier and dimmer rendition than she remembered. She skipped along the center ring, excited to be home at last. Grit and discarded trash snagged between her little toes. A spotlight clicked on to illuminate a trunk. From within came a thumping sound, and girlish giggles. “Tildey!” Willow cried out, racing across the distance to find her doll, her pigtails slapping her face and neck upon each bounding step. The creak of abandoned trapezes swung overhead, cutting intermittently through a thick cloud of fog. Yet it wasn’t fog. It was tobacco—a stench that seeped into her leotard, her tights, her very pores, until she could taste it coating her tongue like bile. The spotlight shifted from the trunk to a trapeze just above her where a shape took form in the light: a graceful silhouette in a shimmery leotard and glistening tutu. “Mama?” Willow whispered in the dream, forgetting Tildey for the chance to see her mother perform once more. The trapeze vanished into thin air but the aerialist continued a controlled descent toward her, held in place by harnesses attached to the center pole. A face came into view, painted white like a clown, with bloody eyes and a hollow of a mouth—stretched wide on a perpetual scream. Willow yelped and squeezed her lashes shut, willing away the creature … for it was not Mama. When she opened them again, the freakish performer exploded into a flock of hummingbirds made of ink. They skittered around Willow, buzzing wings scraping her skin and hair, imprinting tattoos everywhere they touched. She screamed and stumbled backwards, bumping into the trunk which was somehow right behind her. A tinkly, off-key lullaby drifted from inside the giant box. The lid shook and shuddered, as if something wanted out. Whimpering, Willow tried to back away, but her feet grew heavy. She looked down and ballet shoes, covered in steel spikes, swallowed them up. The empty harness that had held the ghastly aerialist slithered toward her like a snake, coiling itself around her legs and arms to hold her in place. On the final haunting strains of music, the trunk’s lid popped open, and out from the midst rose a hunched old man, holding Nadia’s haunted shoes upside down. Blood and water gushed out of them—a stench of copper and stagnancy—and the man laughed with a voice that gnawed into her bones like a thousand snarling wolves.